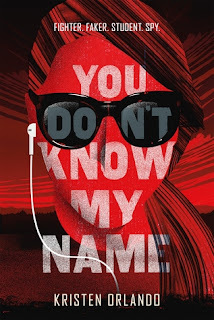 My Series Sunday pick is You Don't Know My Name, the first book in the Black Angel Chronicles series by Kristen Orlando. Seventeen-year-old Reagan is a student, fighter, faker and a spy. A lot, right? She is used to living life with a go bag on the ready, moving in the middle of the night, changing identities and lying to every friend she's ever had. Trained in weaponry and the best Krav Maga from birth, Reagan is expected to follow her parents' footsteps and join a top-secret agency called Black Angels. They save lives, rescue hostages and stop terrorism. It is a life of looking over your shoulder and never getting attached...until Reagan falls in love with the boy across the street. The series title, Black Angel Chronicles, reminds me of an old television series I really enjoyed titled Dark Angel. It starred Jessica Alba, and like the main character in this book, she was raised and trained to be a super soldier. Hmmm, I wonder if this is where the author got the book's idea. Nevertheless, the story was interesting and somewhat unpredictable. I am very easily annoyed at YA books that star characters with unrealistic dialogue and personalities. But this was certainly not the case. Reagan is an example of a strong, mature teenager with lots of responsibility; she balances it well with schoolwork and a social life when possible. The story is enough to keep adult readers turning the pages too. 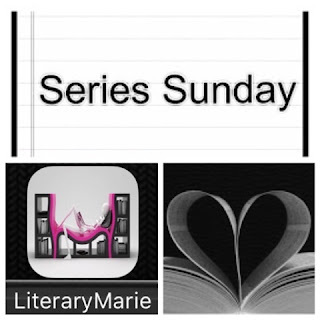 Bookhearts with teens: this is a pick for you! Do I have to give you more reasons to try reading this book for you or the young reader in your life? You Don't Know My Name is suspenseful, fast-paced with well-developed characters and kept me interested throughout. I am already stalking the bookish net for an advance copy of the second book (to be released in January 2018). What a strong start to a series!